Marine RADAR Antenna refers to the exterior (transmitting and receiving) portion and gear box of a marine radar. Literally, the "Antenna". 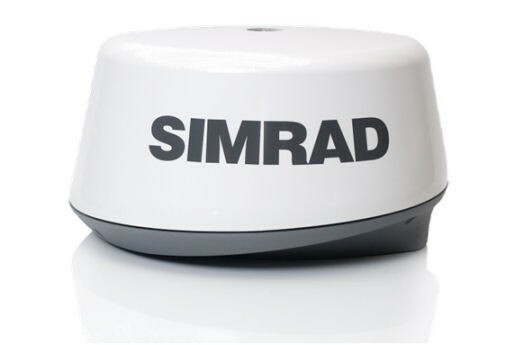 The functionality of marine RADAR also requires that the antenna rotate typically by spinning the antenna on an axis. Marine RADAR Antenna systems are available in an open array style and in a Domed style. Longer (larger) Marine RADAR Antenna systems typically deliver a more optimal picture at shorter RADAR ranges. Separate Optional larger and smaller antennas are available. Rugged and reliable, RADAR is essential for your navigation needs. Without it, you are blind at sea. Premier manufacturers include Furuno, Raymarine, Simrad, JRC, Si-Tex, GARMIN, and ICOM.